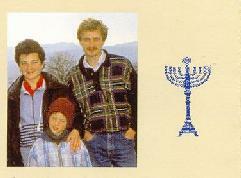 Help Jews Home (HJH) is a Norwegian initiative and a unique project working since 1990 and aimed at helping Israel receive new immigrants from around the world. — Because Norwegians have always supported Israel. — Because the struggle for the Jews in USSR has been intense within the political and legal ar-eas of Norwegian society. We must help them before it's too late — again. — Because the battle against anti-Semitism which has blossomed after the fall of the USSR is a battle which affects us all. There is a ghost passing through Europe. — Because the Jews deserve help after more than 70 years of communist oppression. — To spread information and help Israel with practical measures for all immigrants. — Christians and Jews have for the first time united in a direct collaboration. 11 organizations and denominations of Norway have raised more than 6 million USD. — This has been accomplished with the help of brochures, flyers, video productions, almanacs, radio spots, and nation wide presentation/lecture campaigns. — The funds are channeled through well established Israeli organizations. A few of the projects supported by "Help Jews Home"
— Ulpan Halom, St. Petersburg, Russia. — Hebrew Language School with a focus on motivation and preparation for emigration to Israel. Emigration Center Kabarovsk (Through the Jewish Agency). — Center in Eastern Siberia for mo-tivation and preparation for emigration to Israel; education in Jewish tradition, culture and history, verification of Jewish Family Identity for potential new emigrants. Project is administered from Is-rael. Emigrant Center, Buenos Aires. – Center for motivation and preparation for emigration to Israel. 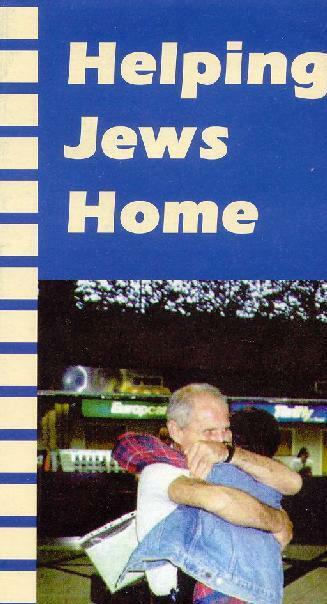 Providing information on what awaits new immigrants; verification of Jewish Family Identity. Selah, Israel Crisis Management. — Volunteer visiting and support services for victims of terrorist attacks and their families and loved ones. Assistance with hospital and doctor visits, insurance claims, etc. New immigrants represent a majority among the victims of terror attacks because they are among those dependent on public transportation. Dental Volunteers, Jerusalem. — Dentists from all over the worlds give free dental care and train-ing in dental hygiene and nutrition for immigrant children from needy families. Keren Klita, Jerusalem. — Volunteer visiting and support services for new immigrants. Help in contacting public service offices, doctors, etc. Some immigrants with particularly great needs often end up in the reception areas and receive help to manage difficulties in their everyday lives. Machanaim, Jerusalem. — Education and training center working with immigrants from the former Soviet Union, primary focus on the elderly. Discussion groups focusing on language, religion and philosophy, together with Hebrew language courses. 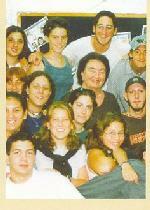 Ulpan Akiva, Netanya. — Language school for new immigrants and others interested in learning Hebrew. HJH earmarks donations to new immigrants. Training in Jewish culture, religion and his-tory and assistance in establishing a social network. Or Han'er and Bror Hayil, Negev. — Kibbutzim where Argentinian and Brasilian youth may live and study. HJH is helping to renovate and repair run-down facilities. The initiative goes on. During 2004 we will expand our support to include several new projects. We will work in close collaboration with the Israeli government, Jewish Agency and other Jewish organizations. — The World and Israel.